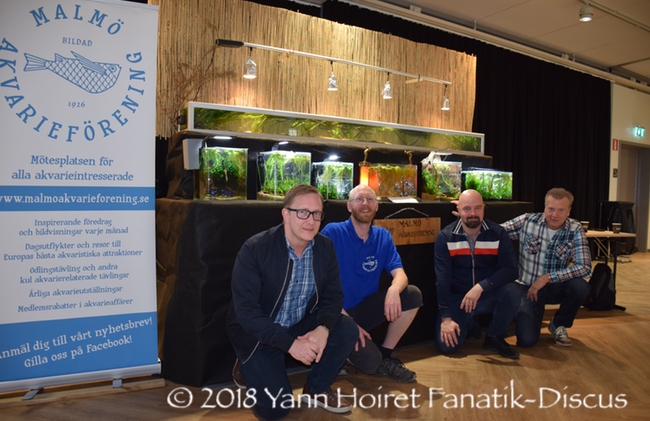 In April 2018 took place the Nordic Discus Show 2018. Organize by the Nordiska Diskus Sällskapet (Nordic Discus Society) in Sweden. I had the great pleasure to participate in this contest and evaluate the discus during the competition. But also answer the demand of the organizers to hold a conference dedicated to my work on discus competition regulations. 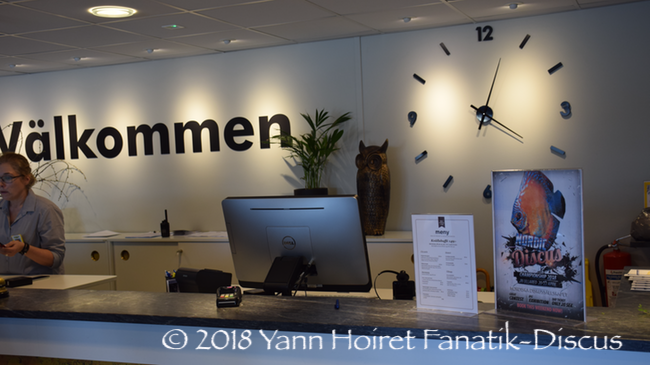 So here I left for the city of Ullared southwest of Sweden where my stay was memorable in many ways! A text report completed with a video. This to allow you feel the spirit of this event. This competition was for me a real challenge. It was indeed expected by many personalities of the "discus planet". They came from all over the world ... with for the most motivated; thousands of kilometers and hours of travel on the clock! (Thailland, Brazil, Indonesia, Malaysia, Greece, Scotland…) There were even Frenchs who have finished their trip in taxi! Not less than 22 nationalities were represented in Ullared. I was honored to learn that the swedish association has called me to join the jury. 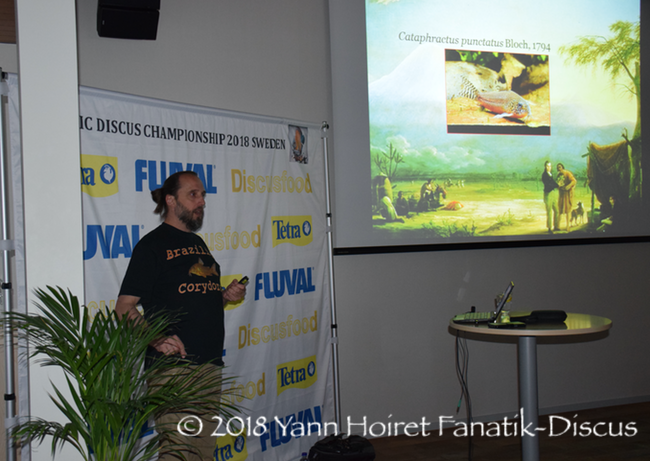 With the pleasure to present my work dedicated to the structuring of discus competitions. The level of organization was quite impressive. Just for my conference, I was lucky to be helped by an assistant. Rather nice when you have to bring your file on a PC in Swedish and you do not speak a word of the language! 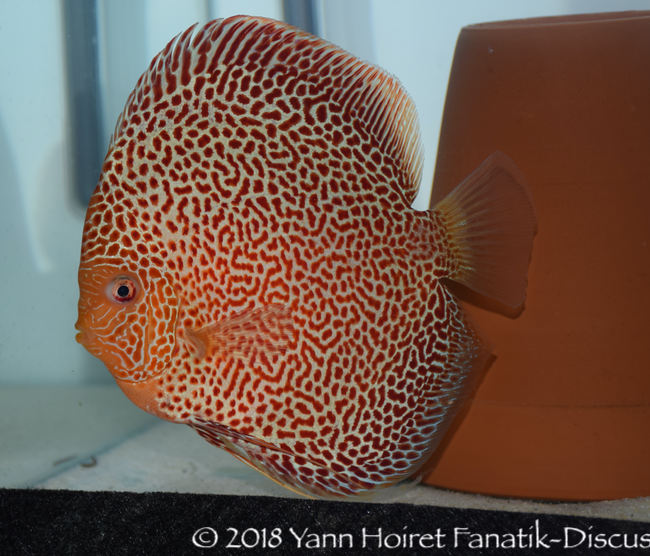 The second challenge that presented itself to me concerned the type discus I had to judge. 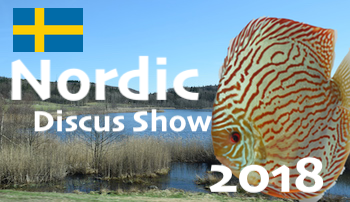 Note that this contest proposed 4 Categories for wild discus and for the Nordic Discus Show those represented nearly 50% of fish presented. 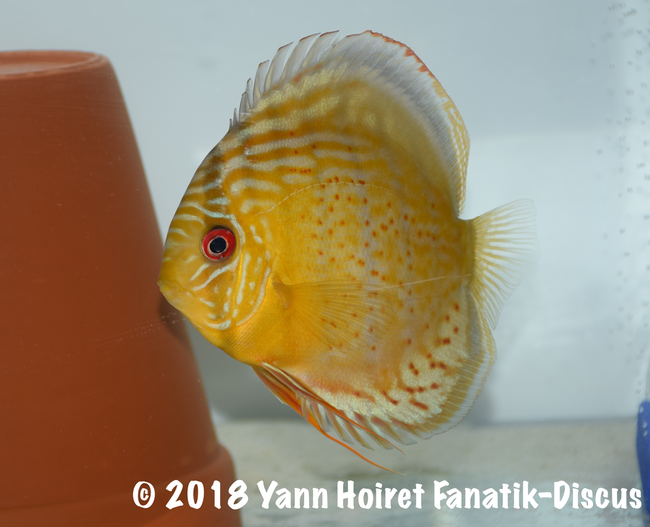 Wild discus require special concentration for evaluation. They are also often subject to controversy. Thanks to the published notes judge by judge, I could place myself and do my "self-criticism". 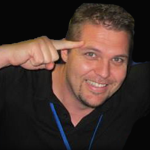 I appreciate that because it allows me to take over and analyze my work with a "clear head". Here we are; a good dose of concentration ... I have to respond this and show me up to the trust given by the organizers of the Nordic Discus Show. Here we are engage for a long weekend dedicated to discus! Northern European countries are known for their sense of organization. What I have seen with my own eyes. 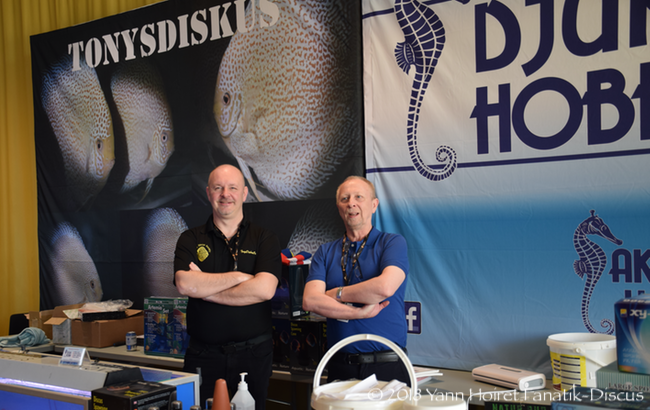 Whether aquariums hosting competition discus or organize a XXL raffle... I think our Swedish friends have conquered everyone! 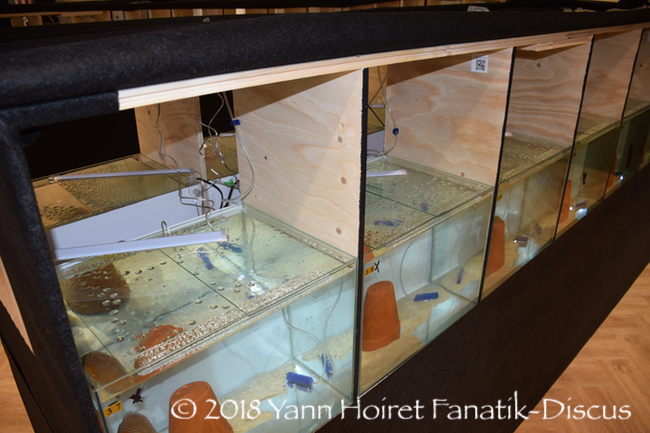 Regarding competition aquariums, this was the first time for me that I saw permanent walls between each aquariums. With a sufficient gap between the two rows of tanks to prevent possible contamination by splashing water. The idea is interesting, and you can imagine the work it should ask! This was chosen light color and accompanied by a terracotta pot in no way was a gene for my photos. Something I was a little afraid ... The whole gave a coherent rendering and fish were in general well acclimatized. One thing surprised me: the absence of filtration in the aquariums. 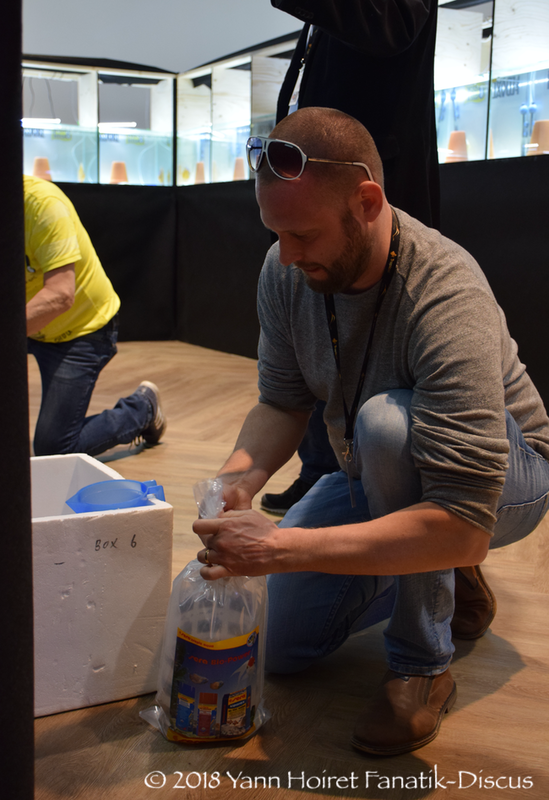 The preparation done by participants ahead of Nordic Discus Show will not cause major pollution. The fish did not seem bothered by it during the weekend. However, I think a tiny filtration could be considered, Only for the "mechanical cleaning" of the water. 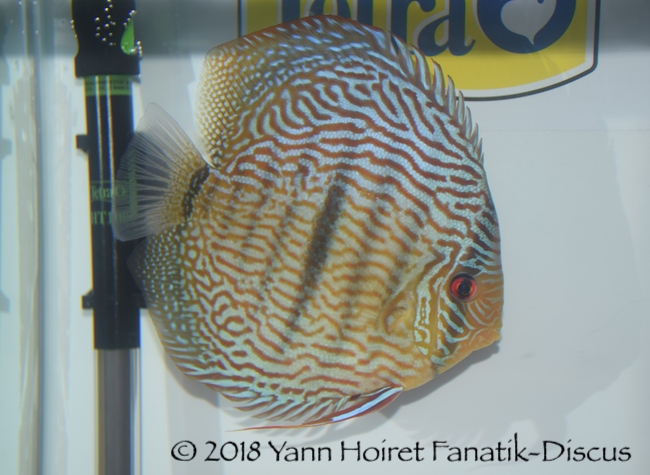 Wilds or breeding forms, discus rather well supported stress during the contest. 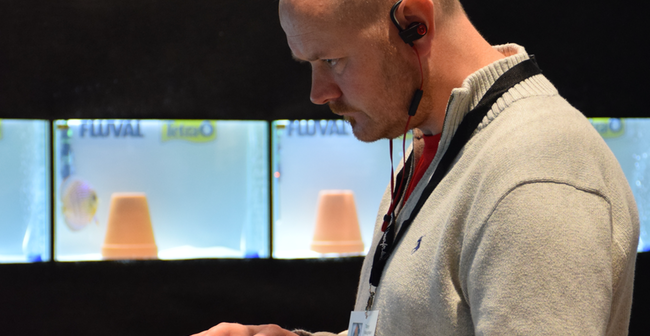 The temperature of the aquarium was regularly followed with a practical control system. Everything was done for the animals welfare. The hall which hosted the international competition was arranged in a very pleasant way and we could wander at ease in the alleys. Associations (with mythical Malmo Akvarieförening!!!) and merchants have offered lively and varied stands. A very attractive set! Smaller (…) could even get candies or pop corns. The family of the Italian judge Iovino Gennarino had pitched a magnificent stand of Italian specialties, There were pleasant things for everyone! The Nordic Association had planned conferences with 4 speakers. 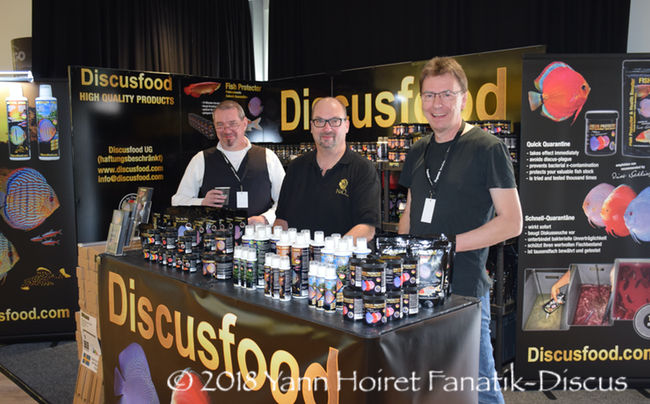 Not far from the Nordic Discus Show stood the official hotel of the event. It's here, in a very comfortable room that visitors were able to follow the various topics. Heiko Bleher wearing his famous hat has presented travel and discoveries he made during recent months. The various journeys presented were very interesting; with unpublished photos of fish and habitats. Regularly, Heiko Bleher has focused on human pollution increasingly visible. Ecological disasters now affect very remote parts of the world. This intervention was punctuated with beautiful pictures but also striking and sad images of the human impact on the environment. At a time humanity seeks to reach Mars ... there is so much to explore here. 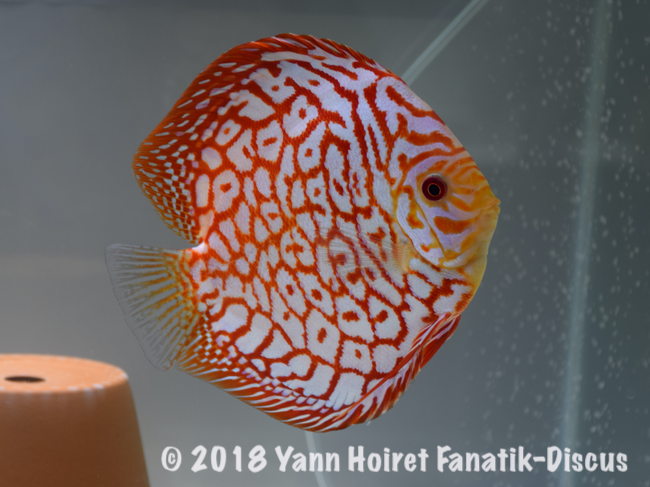 Dirk Shlingmann, a long-standing discus breeder shared his past 45 years of experience in breeding discus. Those who like myself were exploring Anglophone literature will remember the commercials dedicated to fish Dirk Shlingmann. 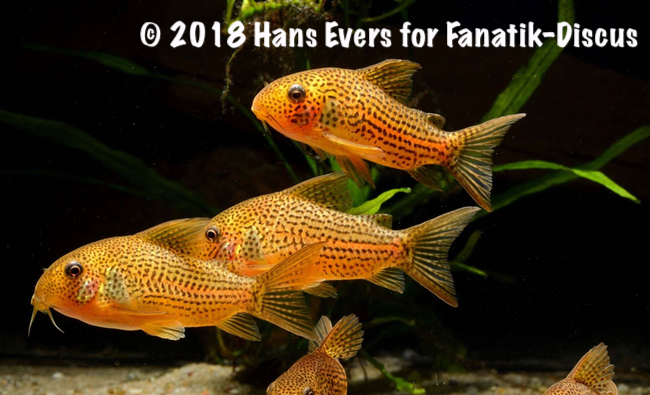 As one published in this issue of "Tropical Fish Hobbyist" in the 90. His intervention was to present his views and methods about technical maintenance and discus breeding. One of my "favorite" was Hans Evers I only knew through my readings in "Amazonas magazine". 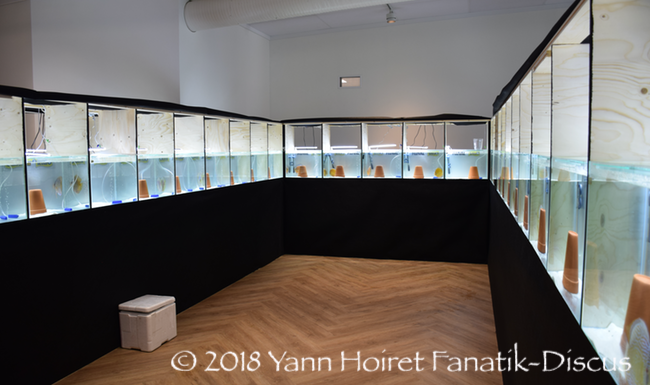 He is part of those Corydoras and Loricaridae passionates that maintain and breed in his facilities in Hamburg (Germany). This is a traveler rather busy giving lectures and collecting species everywhere ... And discovering even some of them. 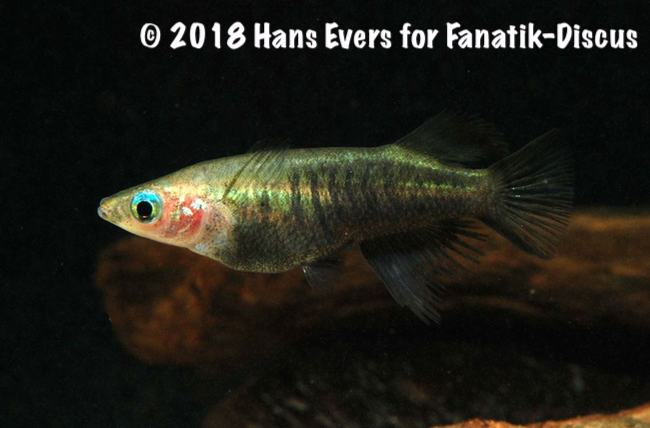 So, Oryzias eversi Sulawesi and Corydoras eversi Brazil were named thanks to his work. I'll spare you the many books and articles he wrote, and enlighten nevertheless his work as editor for "Amazonas Magazine" since 2005. (2012 to 2018 for the English version). A real pleasure for me to be able to attend one of his lectures as this person communicates his passion and his good humor. You can imagine my "little pressure" among these speakers? I was prepared because of course it was not the first time I presented my subject. As a "Rookie" I opened the ball. But in English, it was a bit different for me and I must continue to work. My English baptism of fire was pretty well. I wish I had brought more nuances and vocabulary in my language but my message went well. My work goshawks discus competitions classification was well received. This theme brings a real interest among breeders. Indeed, "classification of breeding forms as a first step for a better regulation" has induced many questions. Questions that already found their answers in the conference which I proposed in Paris-Grigny 2017. This presentation then continued in an open discussion with some irreducible. irreducible mostly Frenchs! We were able to exchange and get acquainted . 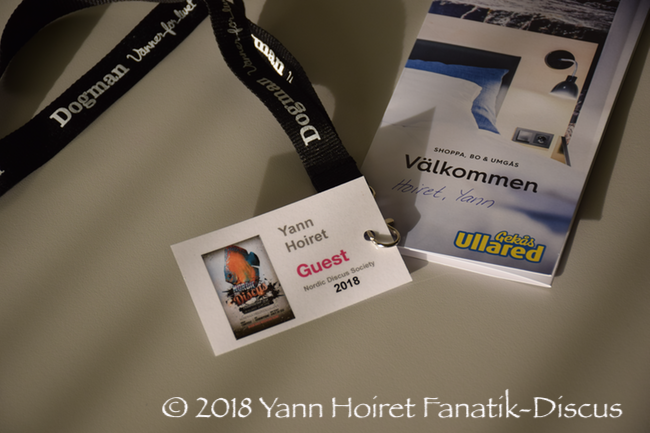 They did the "small" Trip to Ullared to see the event. Valiant effort on their part! The Nordiska Diskus Sällskapet decided to invite an all-foreign jury members. German judges were the majority with the presence of Heiko Bleher, Dirk Schlingmann and Frank Tinnes. 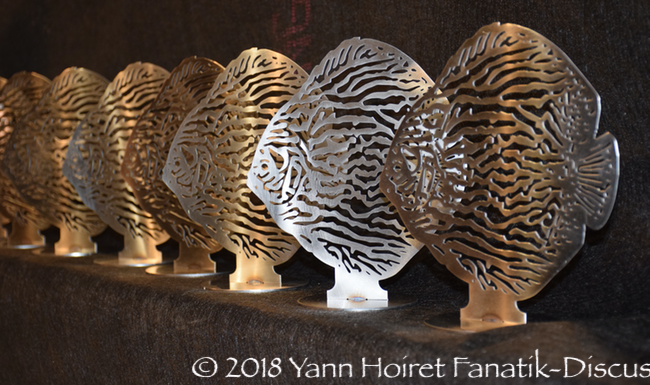 Tony Vaughan (Ireland), Iovino Gennarino (Italy), Mark Evenden (England) and myself, Yann Hoiret (France) completed this jury. Seven judges, a rather substantial number allowing to obtain representative notes. The evaluation system proposed to us was pretty good developed with 10 rating criteria (!!!). The number of criteria that I presented as a minimum (7-8 exactly) in my article dedicated to the competition system structuring was surpassed ... (Link Rating System: Presentation). A number of criteria that is important to consider. Because it is obvious to my senses that break the tie of high level animals often plays with details. Details we had to present and explain to the owners in order to involve the entire hobby. The competition organizers know the difficulty developing such a system. The main locking point being the time: The time requires the judgment but also the integration of the notes for the calculation of results. To overcome this, judges here have benefited of tablets which were Wifi connected in the room in real time to a web server. Each judge with his own tablet. The scoring system installed was of course integrated to the software system invented by Oscar. 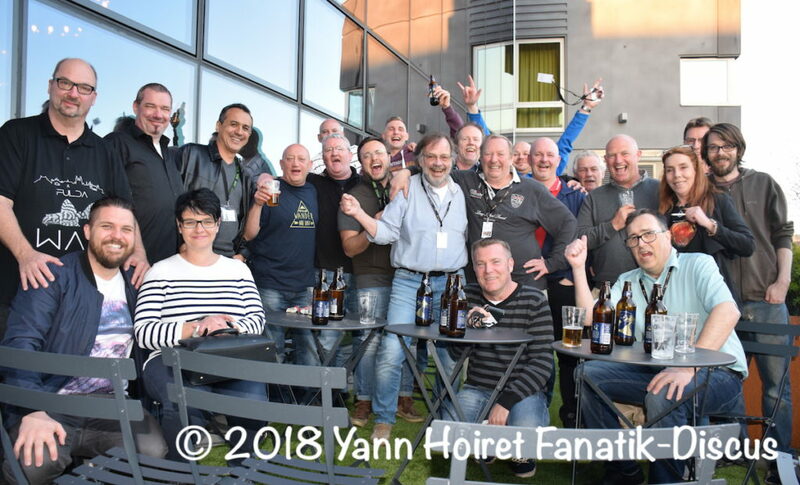 A great achievement of the Swedish club. artificial coloration signs – deformed fins – deformed eye – Double chin – Knick over the nose – not straight black bar, forming "X" or "Y"
First, the overall is very encouraging and interesting because it has demonstrated its effectiveness. It was clearly demonstrated that it is possible to evaluate the discus with a large number of criteria and, with a good number of judges. Because I have no remind having known, or observed such a quantity of ratings criteria. The system comes closest was the one Jeffrey Tan he introduced me a few years ago. 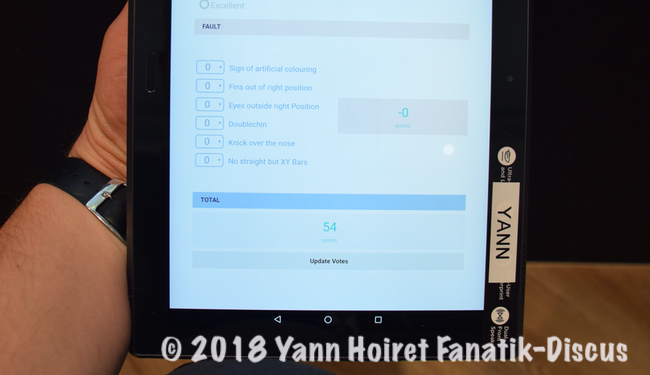 it included 8 evaluation criteria + 1 penalty criteria. I found interesting the coefficients applied to each rating criteria. A missing element of the Swedish system. People who follow my news knows. 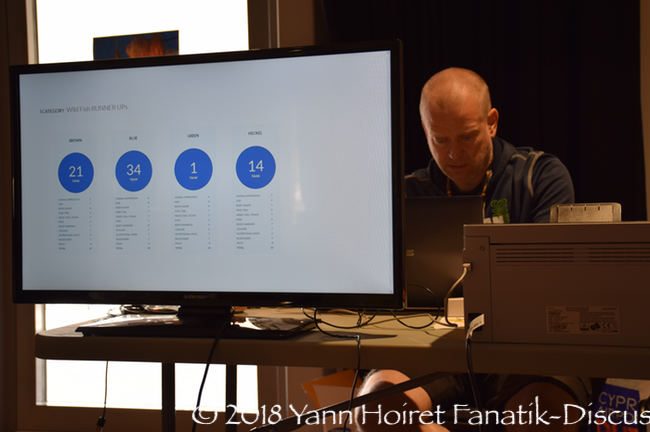 I am convinced that the future of competition requires a more detailed assessment system than most of those generally observed in many competitions. The Swedish system I had the chance to use convinced me. With the help of a certain technology, we may in the future offer competitors a detailed evaluation system. I am also very honored to have been part and test such a system. For a "first" our friend Oscar Lindhal can be proud of the result. On the other hand, I think that adjustments are needed in the criteria. Because indeed, some may lead to debate. without coefficient, we should in my opinion favor a large number of morphological criteria of the animal. This to send a clear message to breeders. Prioritize the coming in competition of well morphological selected discus. 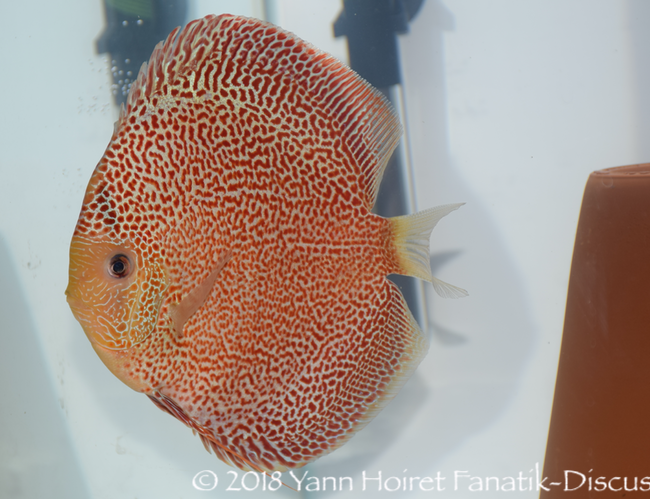 Reading the rating criteria proposed, I think we can legitimately think that it has been developed to assess wild discus. When showing them during the briefing of judges, the "black bars" criteria was widely discussed. This criteria is altogether more suited for wild fish. But we had to still use it for all discus. How to evaluate the criteria "black bar" of this breeding form? Also, the criteria of "general impression" still remains unclear. It can as we all know be interpreted differently according to the judges. But the briefing of judges is of course done to clarify this. The criteria "nutritional state" of the fish could be merged with the "general impression". Especially regarding breeding form fish. 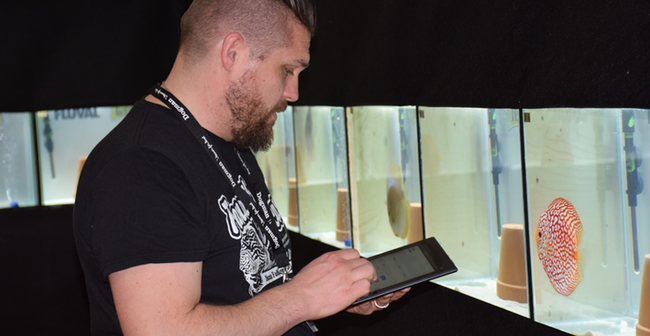 I concidered indeed that we can translate the general impression score as a health status, the quality of preparation and ease of fish in its environment. Fact and very concrete meaning that the animal was well prepared. I particularly like the idea of ​​penalties criteria. But I think we should avoid duplication and improve it. 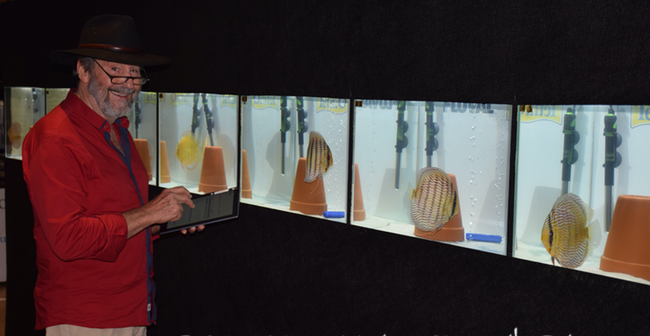 For example, during the competition, a fish with a default on its black bars had a poor rating on "black bars" criteria. And he could legitimately have penalty points in addition on the criteria "no right Black Bar, forming "X" or "Y". This lead to punishing him twice for the same fault. It's the same for the eyes and fins characteristics that were finally evaluated twice: The eyes, the fins + Penalties on deformed fins, deformed eye. You will understand it, I find the penalty points idea rather pertinent unless there is redundancy with already evaluated criteria in the main grid. No doubt other penalties can be found. The Nodiska Diskus Sällskapet holds in any case a very nice tool that need in my opinion some improvements. A real success in this competition that must be emphasized and congratulated. I am also pleased to see that, more and more participants ask their notes to better understand the results. Participants but also visitors and observers! 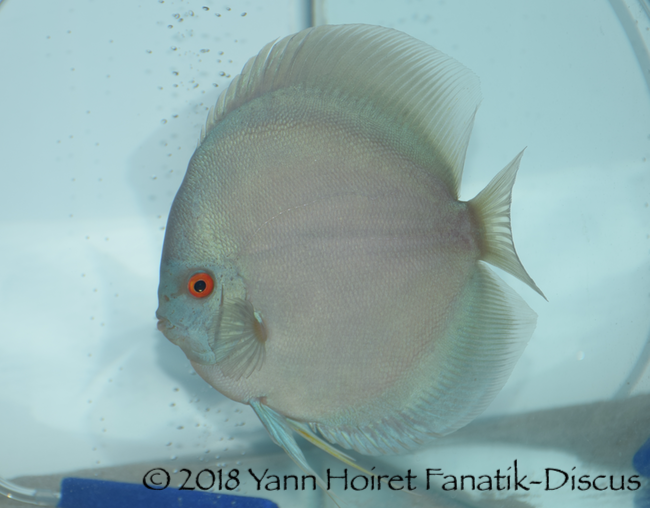 Like what is done during the editions of France Discus Show, it was possible to see the marks obtained by each fish and judge by judge! To my knowledge here as a first for judges. 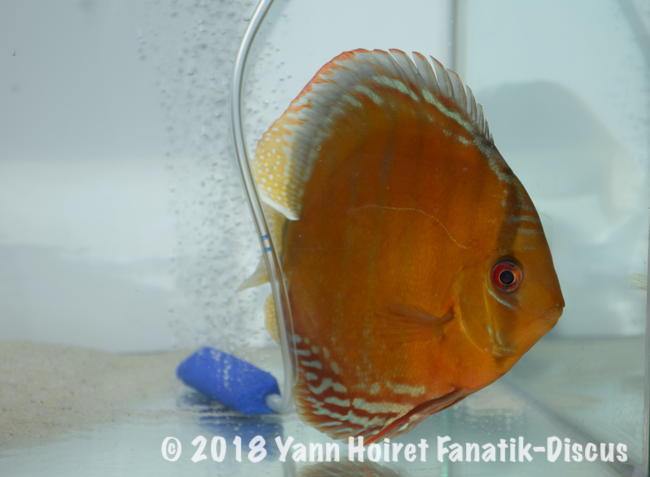 Sweden lived up to its reputation; wild discus came in good numbers. 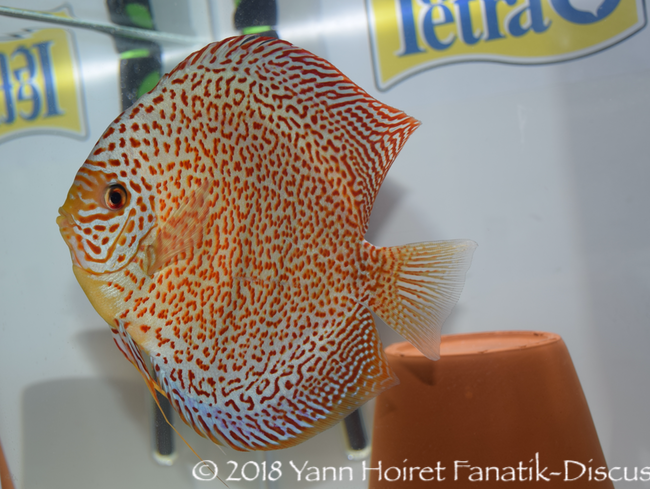 Next to 50% Registered fish were wild discus (50 wilds against 51 breeding forms). With such participation, the Nordiska Diskus Sällskapet had no problem to propose 4 categories to the participants. And it is a pleasure to be able to assess 4 large groups of wild phenotypes separately. 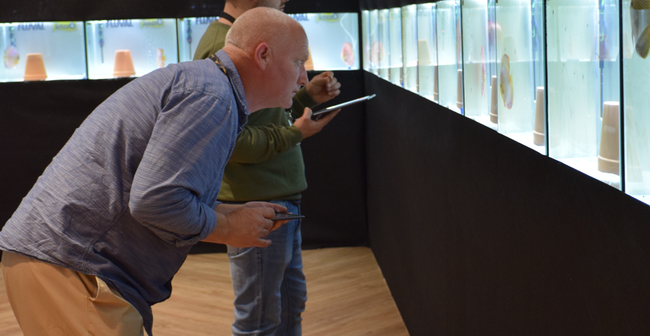 So visitors could enjoy in this competition categories "brown", blue, "green" and "Heckel". 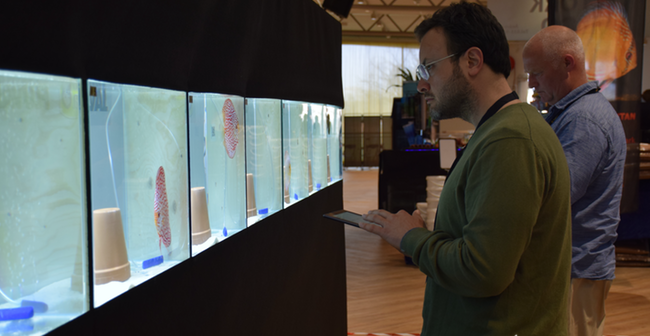 A fifth category was even open: The "Open wild fish" category or "unclassifiable wild fish". I do not remember having ever seen such a category (Maybe in previous editions?). But I think we could refrain to open it since only one fish was registered here. Nothing serious, but easily won trophy for his owner! 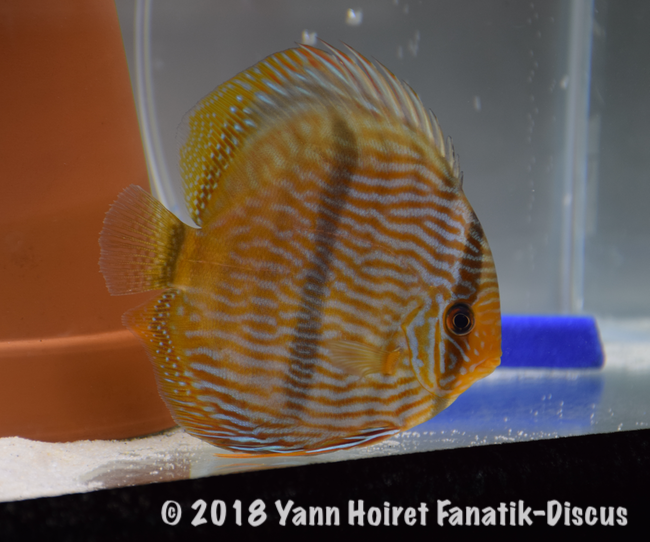 Green discus were the least numerous of wild discus categories. 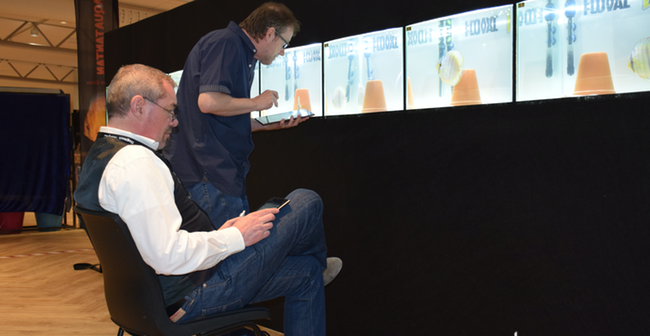 6 Fish were proposed to judges. This category of wild fish was one that reaped the lowest notes. Winners who had generally modest sizes were still correct. The winner of the category standing out to me quite easily from others. 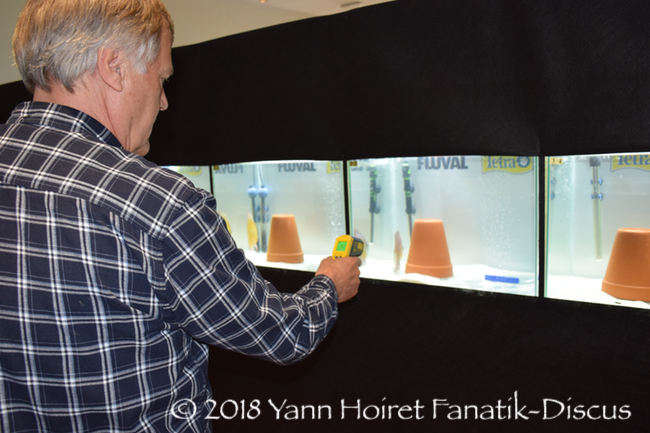 It will be the Swedish company Aquazoo which won the first three places. It was one of the richest categories with 18 participants. The judgments of this category will be quite heterogeneous. 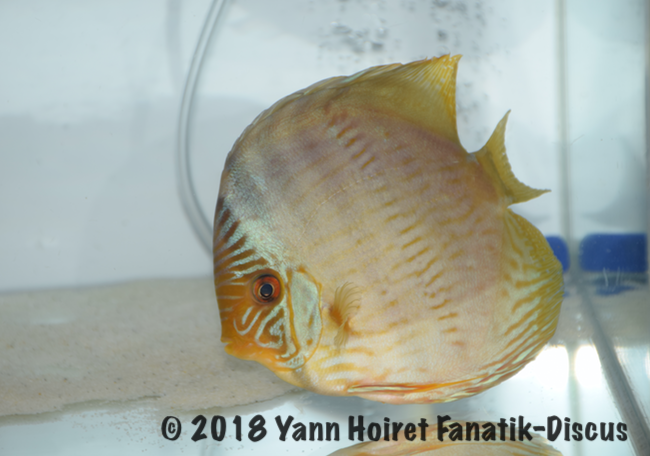 A fish however distinguishing; the number 42 owned by Francis Hu Chen's Discus discus who represented Injaaz discus, Prince of Qatar. This discus was designated for a podium by 4 judges on 7. Frank Tinnes, Tony Vaughan and myself giving it first place and the second for Dirk Schlingmann. 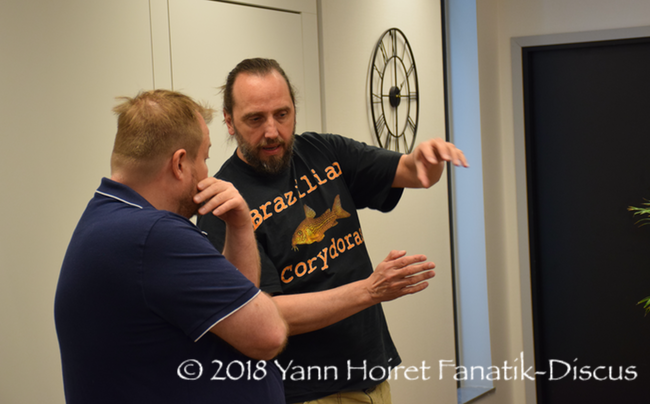 It will even obtained the maximums favors of our two German judges Frank and Dirk for shape criteria, size and pattern (Body marking). 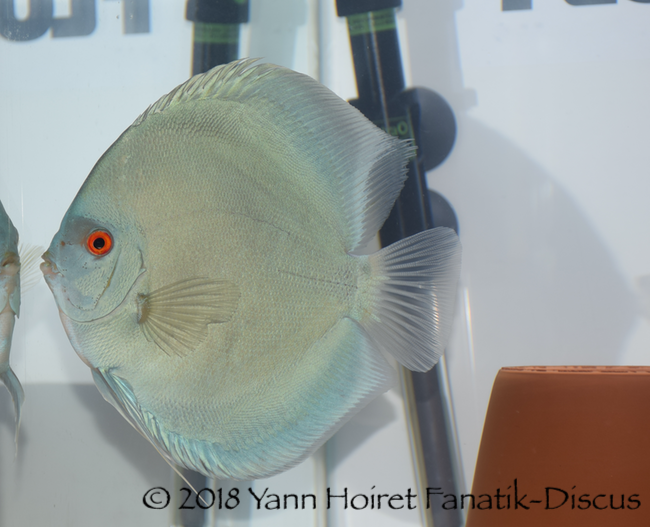 The Heckel discus, who won the category belonged to Limerick and Chen's Discus Discus. All judges have placed it on the podium. With 4 judges designating it first, 2 for second place and 1 for the third. We were dealing with various types of Heckel with animals more or less solid blue. Personally I preferred the fish who won to the second overall place. It was a bit smaller but I thought it was just a Wonderfull animal in many ways. Two beautiful fish that have earned their trophies. Noted that there were many cases of equality for the three discus on the podium. 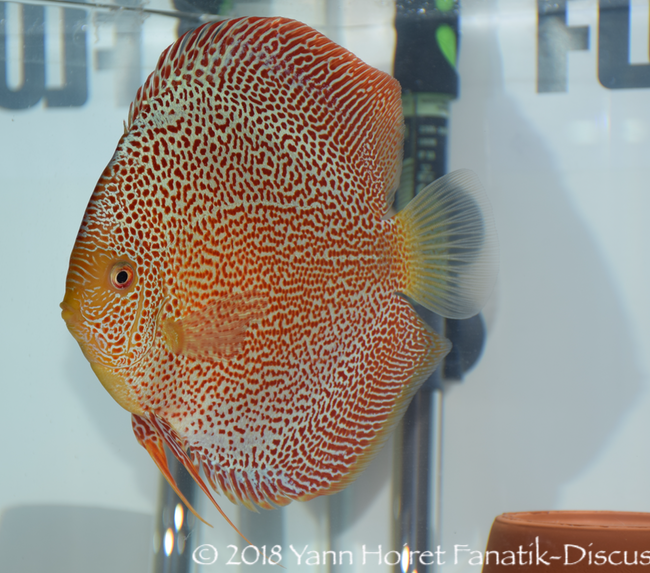 It is in this category that we will find the top Rated wild discus. 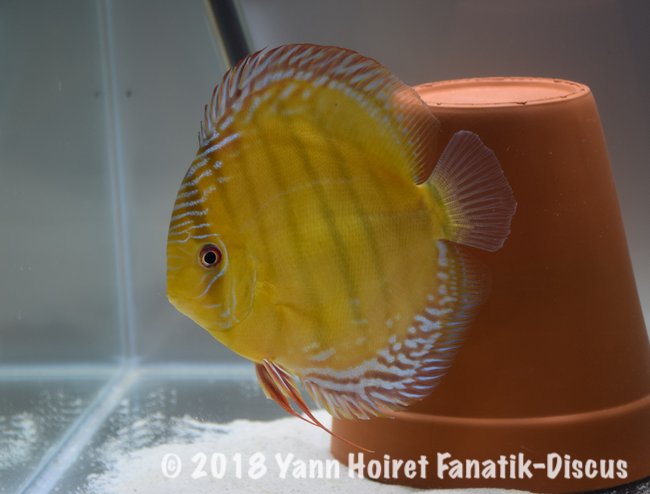 An animal still owned by Francis Hu representative of Injaaz Discus. He won as you will understand 3 of 4 available trophies for wild categories. 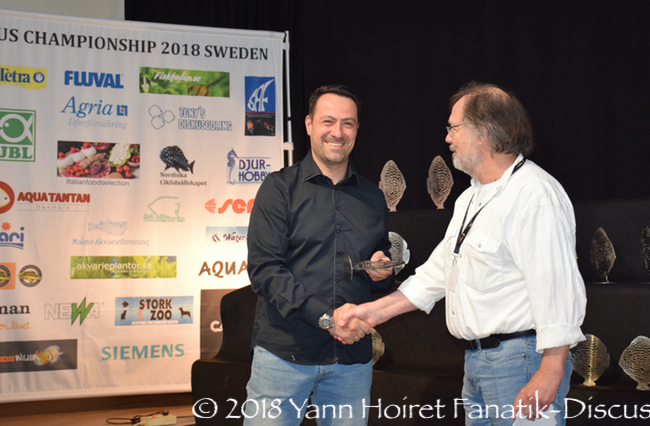 I should even say 4 of 5 trophies available since he also won the first place in the 5th proposed category "Wild fish Open" with a very nice fish ... But with a single animal in the category. Hard not to win in such conditions! This little laughable ... but ... this fish still obtains the general note of 67 points. 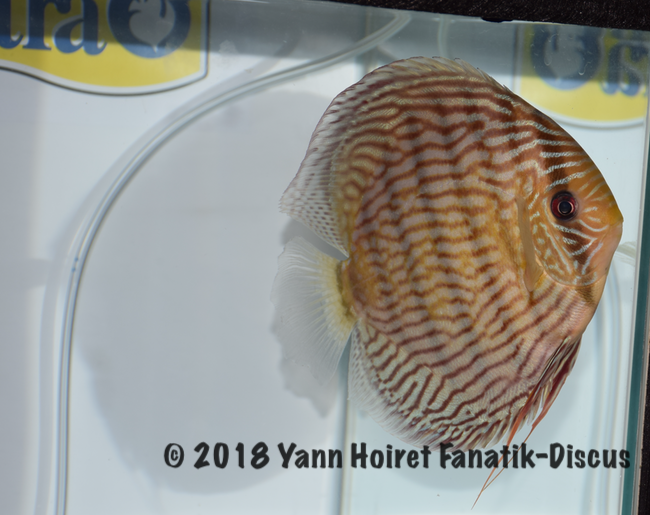 And if one seeks to highlight this note ... it is no less than the third best score for all wild discus present in contest. So we can "razzing" our English friend for this easily won trophy ... But forget to remind him the score for his fish! You will understand it, we had a proportion "wild – domestic forms" fairly unprecedented for a discus competition. 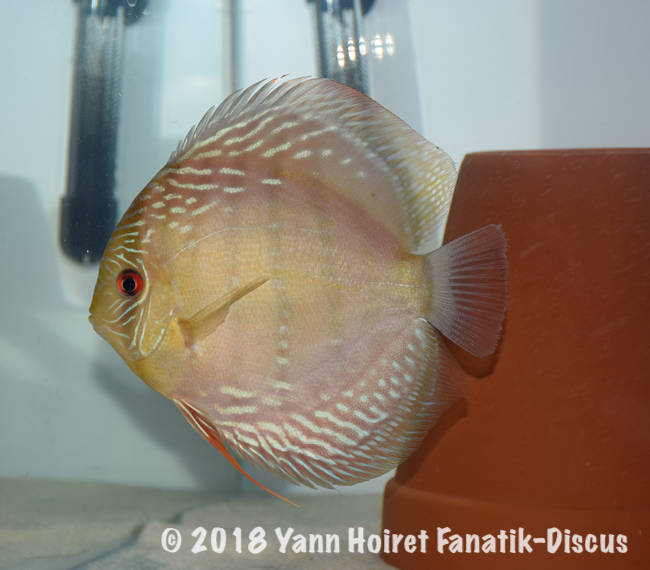 A "fifty-fifty", which did not disappoint fans of "Selected discus". Some categories were rather interesting: The "Domestic pattern, spotted and striped". I found some fish of the "spotted" category rather succeeded . With less morphological errors than what is generally observed. Winners in "striped" forms had a rather surprising brilliance. The varieties "pigeon blood" left no little space to other competitors in the category "pattern". There was also 5 domestic categories: Domestic Striped (horizontal stripes), spotted (dot patterns), solid (Solid colors), pattern (all types of patterns other than those already mentioned), and open (Those who have not found a place in the previous mentioned categories). I think here, the proposed categorization could be improved to better distribute the concurrent fish. Because I think this segmentation still leaves too much ambiguity for entries. For example, The fish who won second place in the "open" category could also legitimately be registered in category "pattern". Because even if it is a "cross" Indeed it show a pattern. The proposed categorization should in my opinion, not afford the possibility to enroll in two classes. This is to be as fair as possible. In this contest, we could specify a little more the category "pattern". A group that I think is too broad in relation to the phenotypes that are usually found in competition. 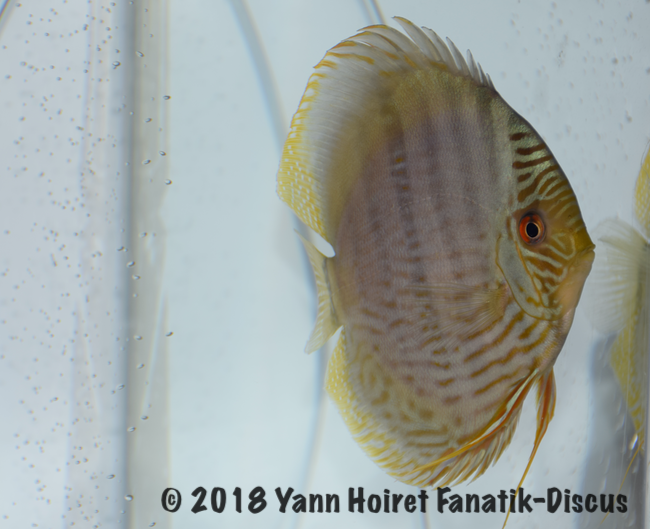 The designation "pattern" included all discus showing a drawing on the body. This one must be present in the most homogenous manner possible. 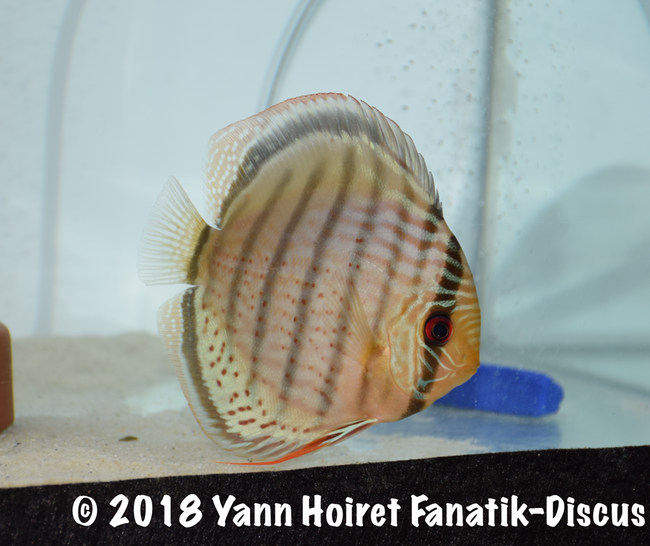 Here, pigeon blood discus easily and logically imposed themselves face to all other varieties. Discus pigeon blood Mark Neill IP Discus Scotland winner in the category "pattern"
Two "cross" won the first places. 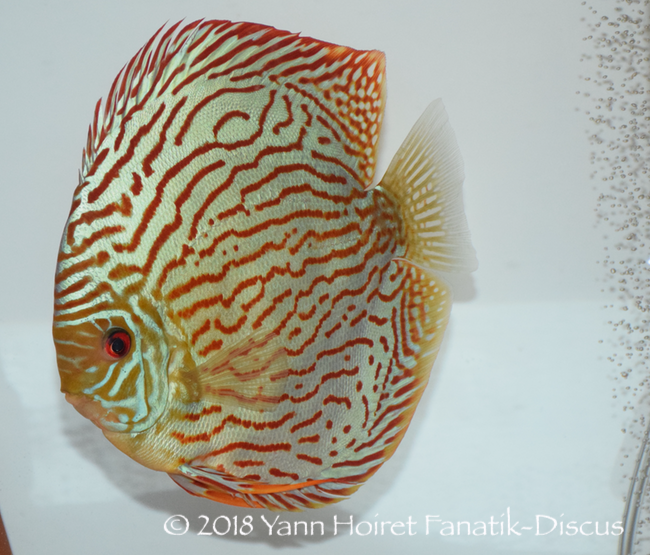 Both coming from Tony Tan discus farm Malaysia. 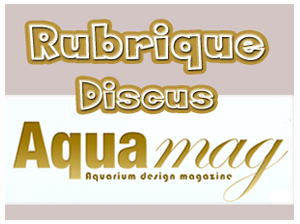 Proposed by the Scottish distributor "IP Discus Scotland". 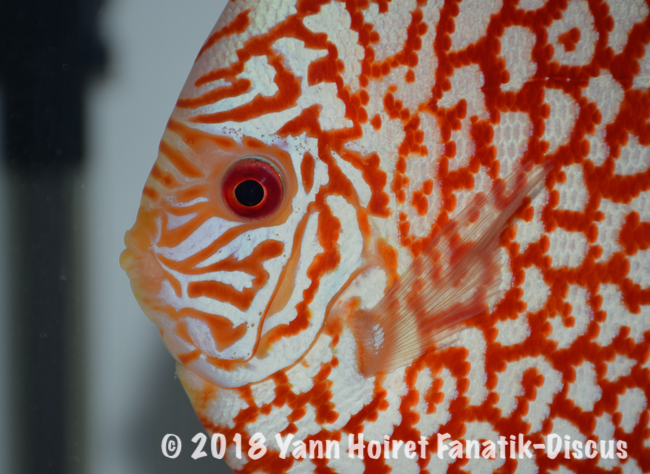 You will notice the fish I evoked above that could legitimately be entered in two categories: Discus "pattern" and discus "open". 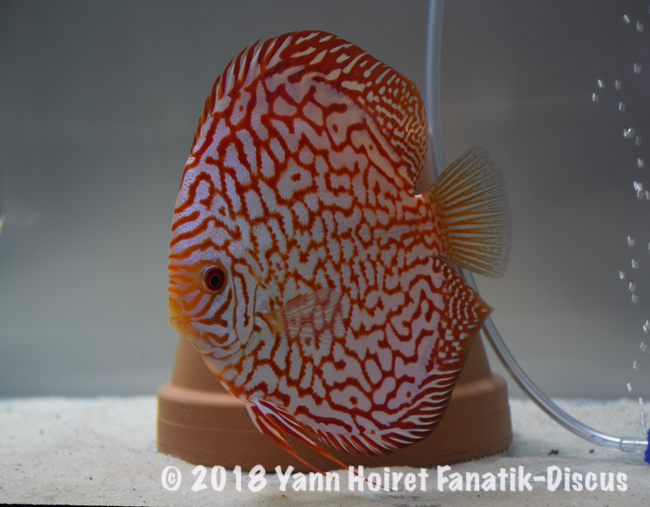 Great quality of "spotted" discus with a beautiful work of the Indonesian breeder Daniel Indarta which fish are distributed by Francis Hu. Varieties always very difficult to select. 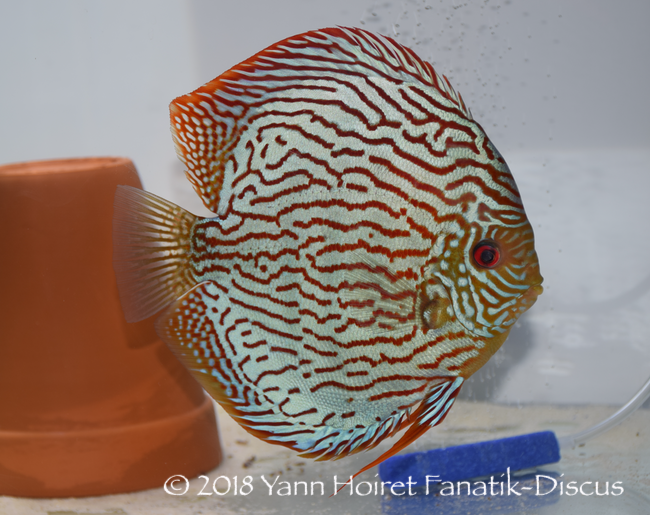 A privilege to observe such discus. It is in this category that we will find the highest rated discus. 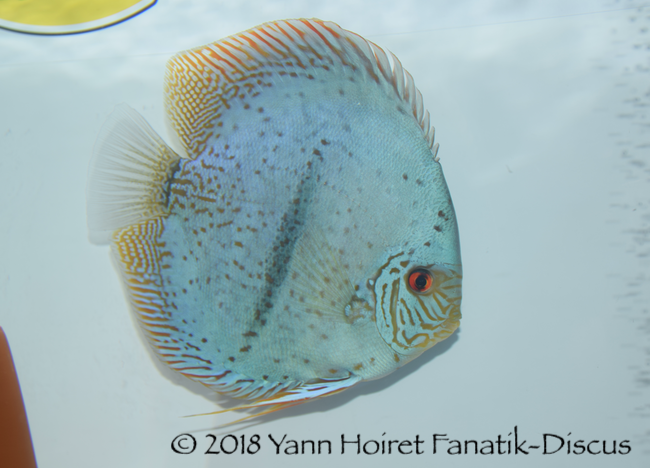 A turquoise discus presented by Mark Neill and Gregory Staszak coming from Scotland. As explained above, the allocation points system could be improved. The software system was already very good; it just would need to change some details. The team of Nordiska Diskus Sällskapet has already made a huge job and it was a pleasure to use this first version. It reinforced my approach and proposals that I bring in structuring competition discus. 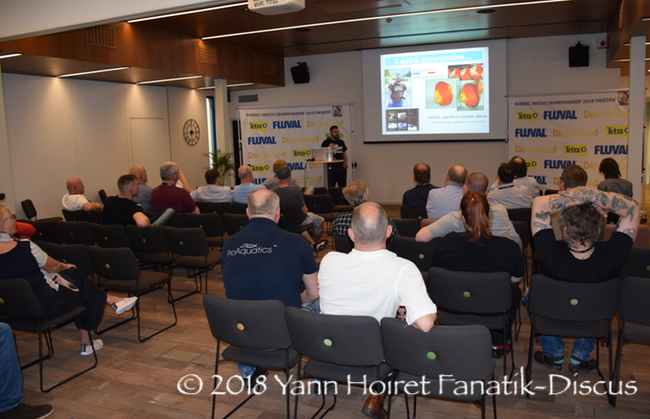 Personally, I remembered this event the warm atmosphere of Nordic Discus Show. The welcome of my Swedish friends was a real pleasure. 22 Nations have been identified showing that our hobby remains strong. It has a power of attraction that should be analyzed well in order to offer relevant events; in line with public expectations, Participants and professionals. Because for many of us, Ullared travel to Sweden was not easy. This event brought together several ingredients that have allow his success. 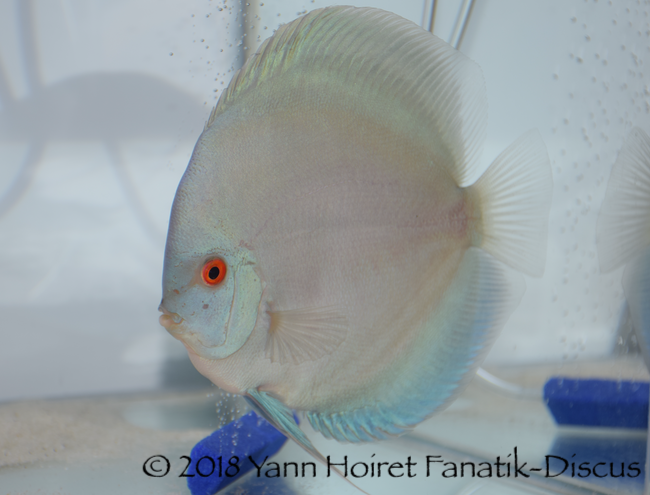 I also remember the satisfaction of having done a proper job according to wild discus assessments. They represented almost 50% of registered and I was among judges known in this field. 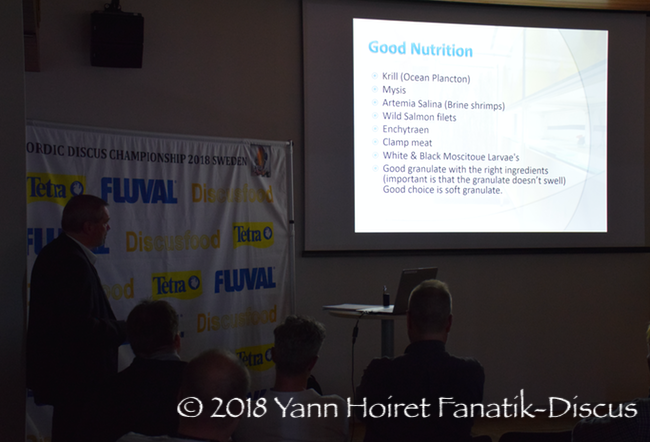 Of the four representative categories of wild discus, I could designate 2 Full podium in the same order as the general classification (Equalities included). My ranking is slightly different with the Heckel discus. I had indeed elected the discus Finlandais Kenneth men in first place. It will come second overall. Of all the wild fish, only the second in the category "brown" lacks my results. I preferred it other fish. But I commend the Greek Stavros Tsipas for its result, even if he did not have my favors, his brown discus was able to climb on the second place! Congratulations! As an observer, I have noticed various things. 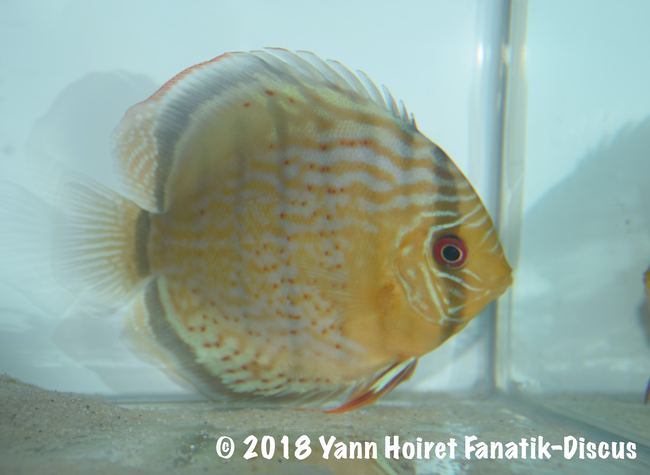 After changing several times its sources of wild discus, Francis Hu remains interesting in its constancy. This importer has won three first places in four well represented categories . I do not integrate the one he was the only one to participate ... But I think he will not hold it against me. He has definitely resources and demonstrates a good job. According to breeding forms, be reckoned with Mark Neill (Scottland) which continues to regularly win in competitions. An interesting power increase for the future. 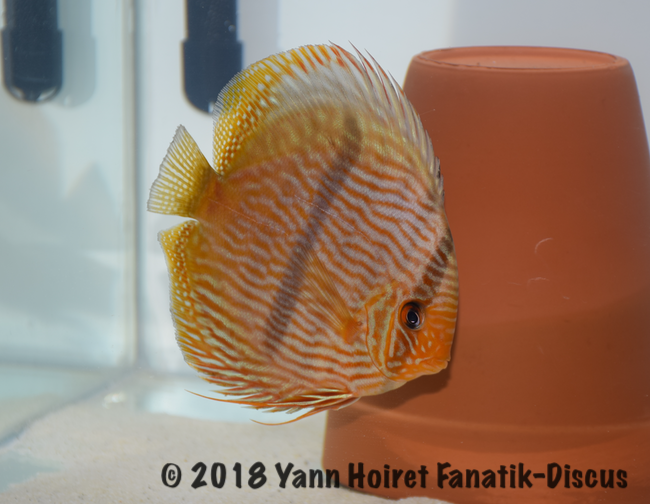 Placed a little further back, some of their wild discus even looks good. Very interesting for following their progress. I met lots of passionate amateur participants. I still think that their presence is essential for competition. Thank you for the interest they have shown for the subject that I exposed their. A "Nordic" category was also offered to local fans. To further boost our competitions, I think there should be no hesitation to further open access. Well done to the organizers for their transparency. I always suggested: "Be transparent about your contest, results and discus hobby emerge strengthened "
To finish, here's the video that complements this article ... Do not hesitate to subscribe, "Like" and share! "Wickedness can surround itself with forms more or less attractive, it always ends up to piercing; but she is not long ignored by the careful observer. " 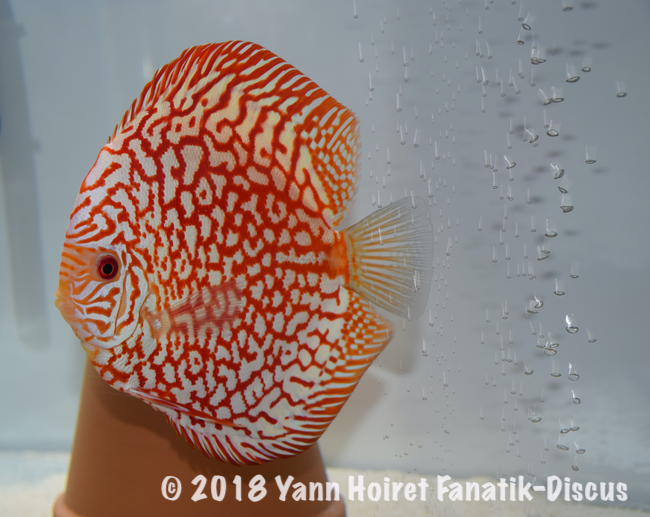 Discus Breeder and Discus columnist, Yann Hoiret share on the website Fanatik-Discus his experience and passion for the King of aquariums. From 2014 He worked as a writer for the french magazine "AquaMag", the German magazines "Discus Live" and "Discus yearbook". 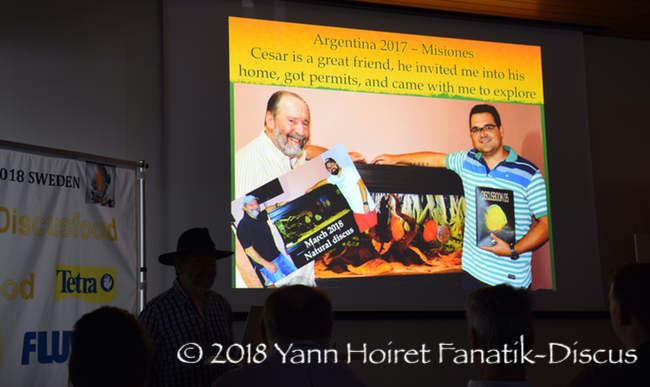 He participated as an international judge in France Discus show 2014 and 2016 in Arvert, au Greek Discus Show 2014 in Athens, Paris in Grigny discus show 2015 and 2017, au FIDO concurso 2016, 2017 and 2018 Spain, au Nordic Discus Show 2018 Sweden, au France Discus Show 2018 Cognac. Thank you very much for this detailed account, very constructive especially on the criteria for evaluating exposure discus. 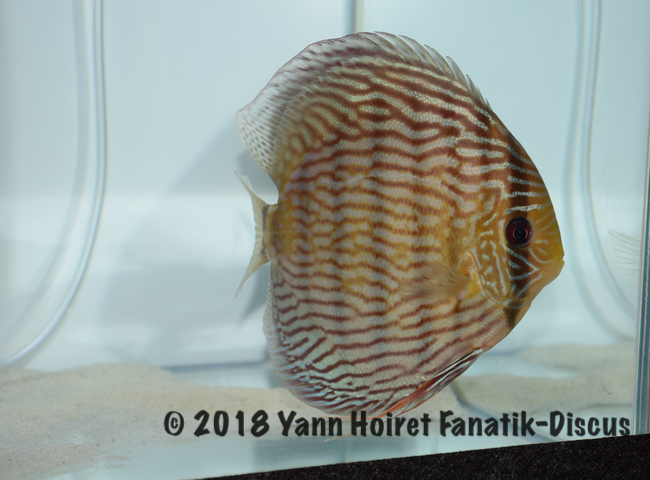 I'm from Montreal, Canada, and I breed discus in collaboration with my friend Olivier Ouimet. A nice article but details as usual, which values ​​the discus and the flawless organization 2.0 Swedish !! Richard and David thank you for your comments! And glad that this report have pleased you !!! 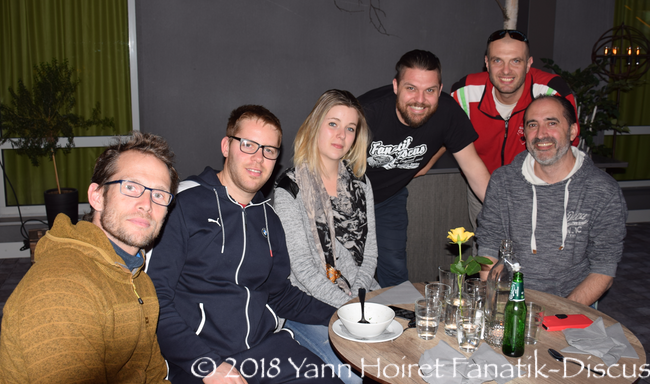 Super report Yann some interesting ideas for Paris 2019. I think especially the separation between the tanks.